Hi darlings! I’ve dedicated this post today to my little sister who’s crazy about peanut butter! Then again, who isn’t, am I right? 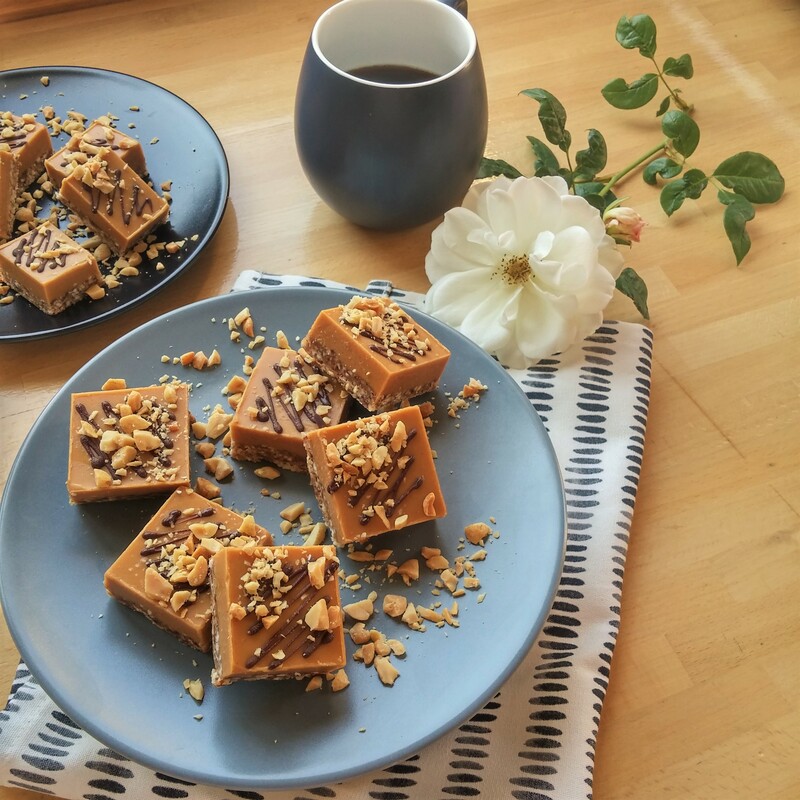 So today I whipped up these super easy no bake peanut butter bars, for her, and us of course, to devour. First, place the almond flakes, and shredded coconut into a food processor and blend until fine, then transfer to a bowl. Next, add the dates, pits removed, to the food processor and pulse until a smooth, paste like mixture forms. Add to your blended nuts and give it a good mix with your hands. Line an 8 x 4 x 1/2-inch loaf pan (20 x 10 x 6 cm) with baking paper, and firmly press the base mixture down into your pan, until it looks even, then set aside while we make the filling. For the filling, heat up a pot with about 1 inch (3 cm) of water on low heat. In a heat proof, glass bowl, add the peanut butter, coconut oil and sweetener, and place on top of your pot, so that the water won’t touch the bowl. The steam from the boiling water is just enough to gently melt our mixture. 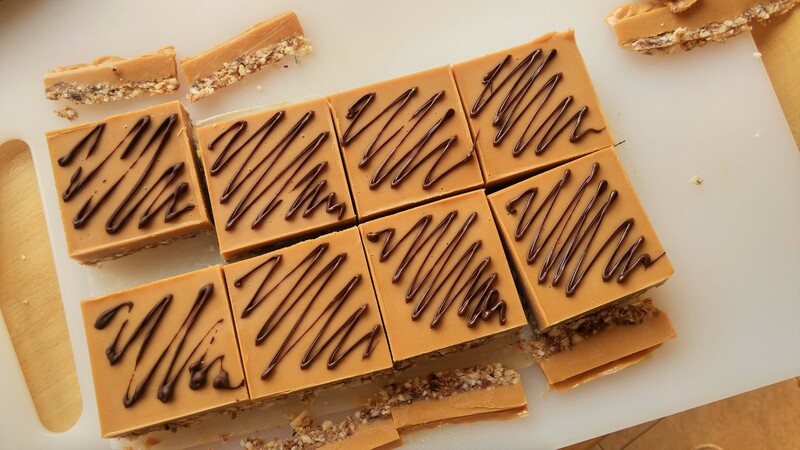 Pour your heavenly rich peanut butter filling on top of your chilled base, gently tap the pan a few times on your counter top, to get rid of any unwanted air bubbles, and chill in the freezer for a few hours to set. Store in the freezer, and when needed, take out and thaw for 5 to 10 minutes before serving. Want more insanely delicious recipes like this one? Plus, want to be the first to know when I post a new scrumptious recipe? Go ahead and give my Facebook page a Like. Haha you know me well! They look absolutely delicious. I’m going to make these for my little boy’s lunch box. He loves peanut butter and these look fabulous! Pinned, stumbled and flipped. Oh I could eat 3-4 slices now!! I love the recipe. Medjool dates are my favourite and I have used them to make nut rolls but the peanut butter topping sounds heavenly. Mmm I think I need to whip up a batch of these!